The ‘Little One’ playhouse will give the kids plenty of room to play. 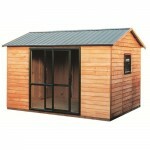 A great playhouse that will be sure to keep the kids amused for hours! A great looking, finished in high quality New Zealand timber with a sturdy timber frame and weatherboard cladding construction. 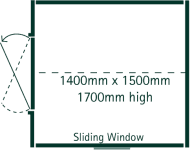 1400mm x 1500mm playhouse with hinged door and a single sliding window. 1700mm high. 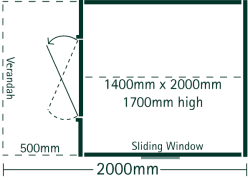 Optional 500mm wide verandah available. Free delivery on this product is available only to North Island and South Island towns. Rural deliveries in both Islands will be price on application due to the weight & volume of the product. 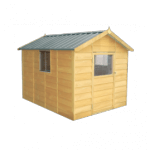 As these playhouses are made to order, manufacture and delivery can take up to 3 weeks.